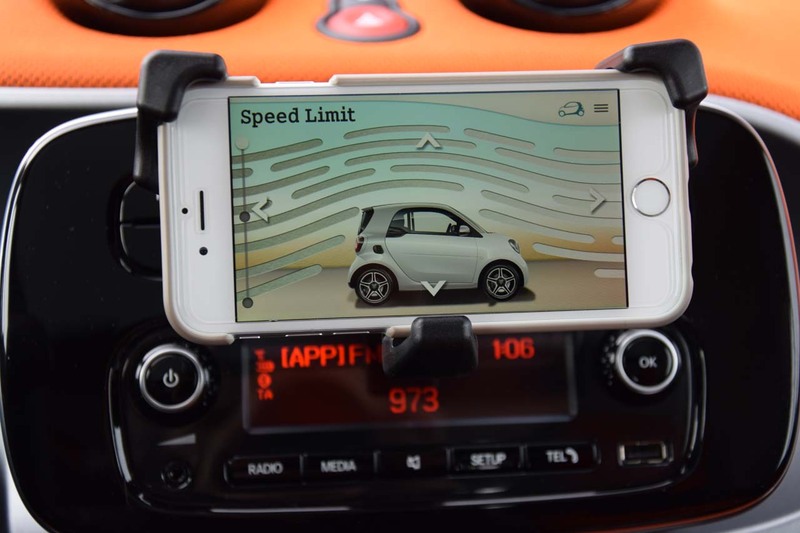 If you have ever visited a place like Rome, apart from the stunning architecture and picturesque corner stores you probably experienced the difficulty of parking. 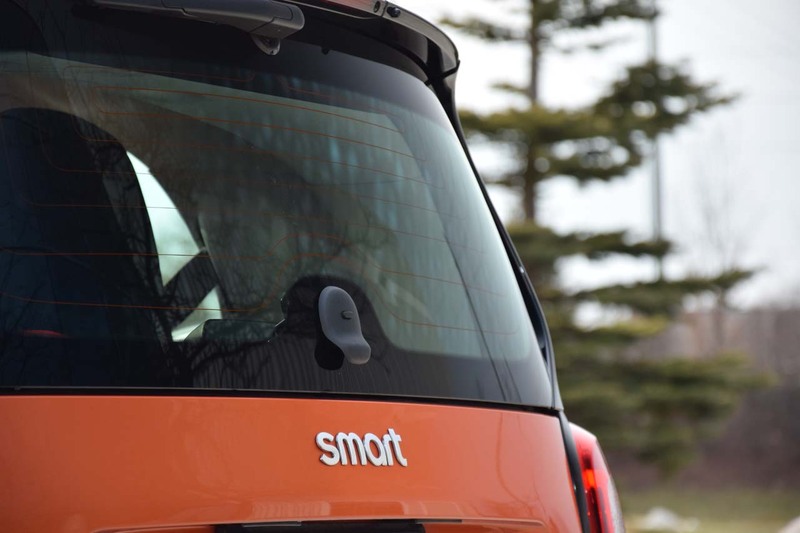 And it is not only Rome; most European cities are faced with similar problems, one way to tackle it is to be Smart. 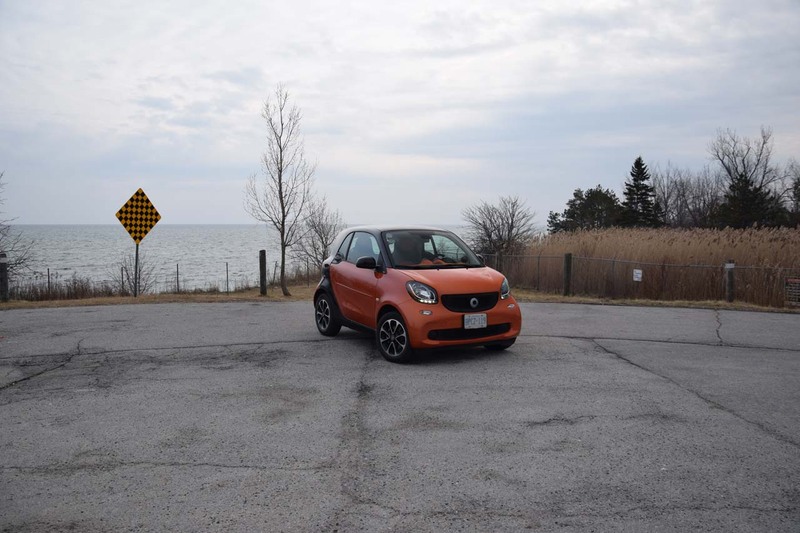 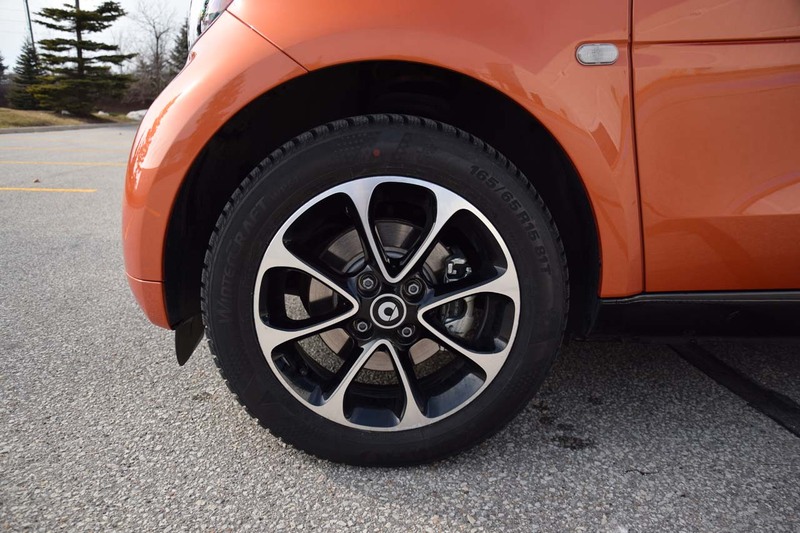 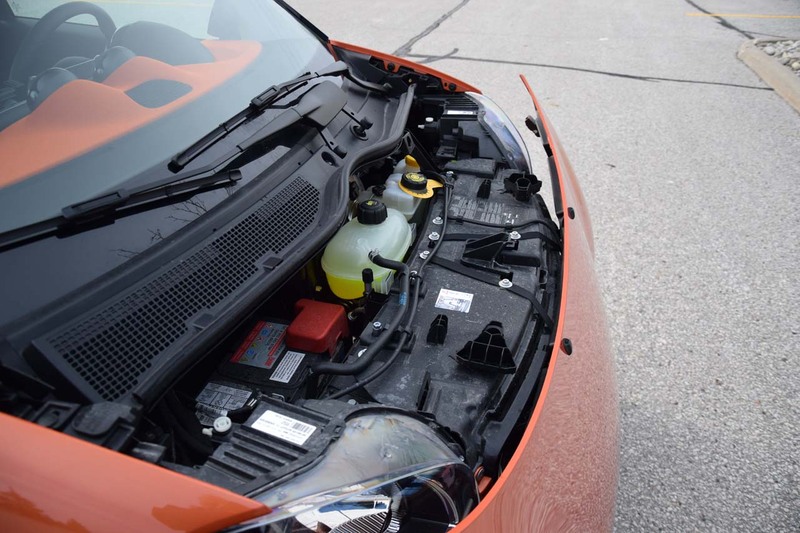 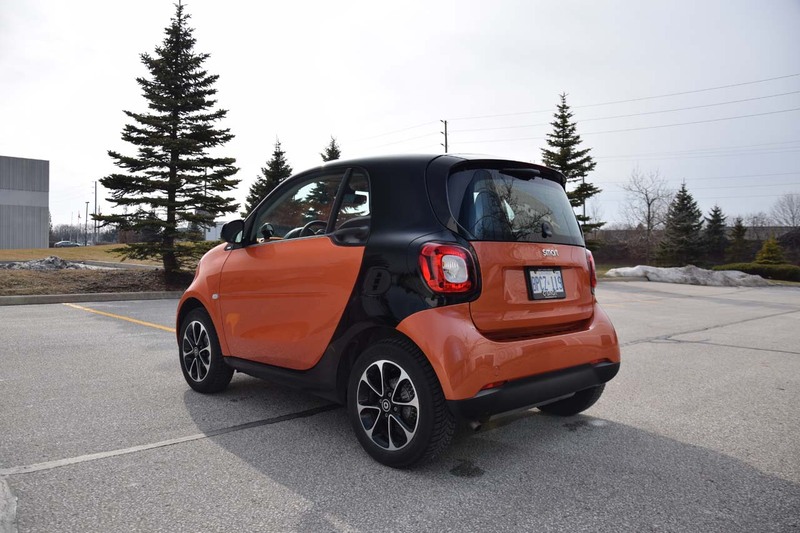 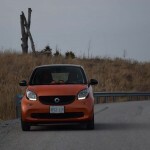 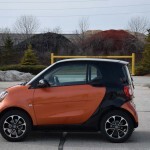 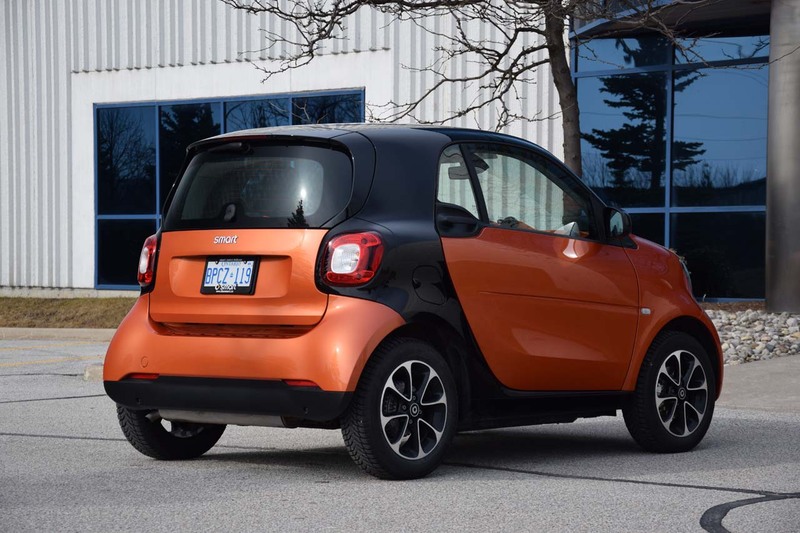 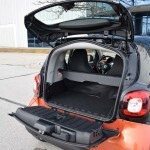 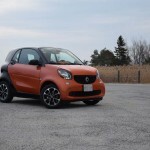 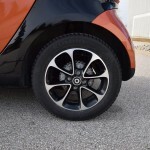 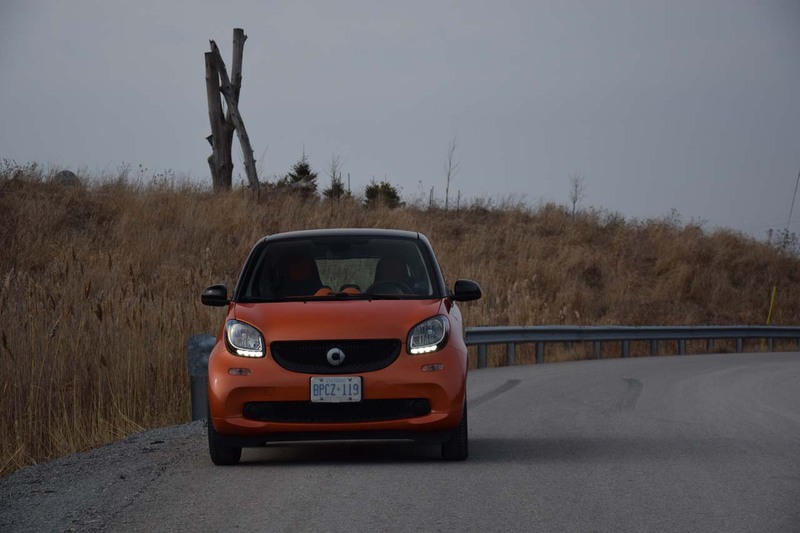 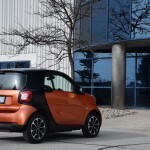 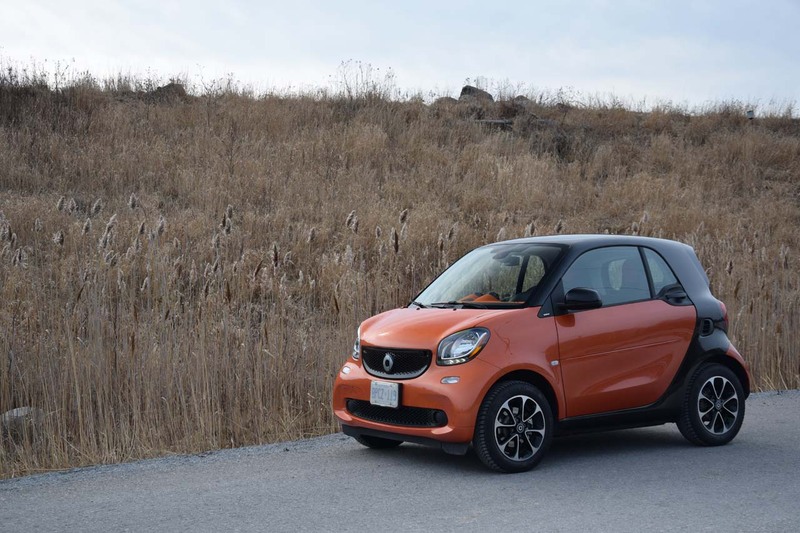 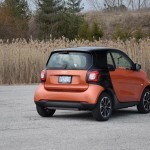 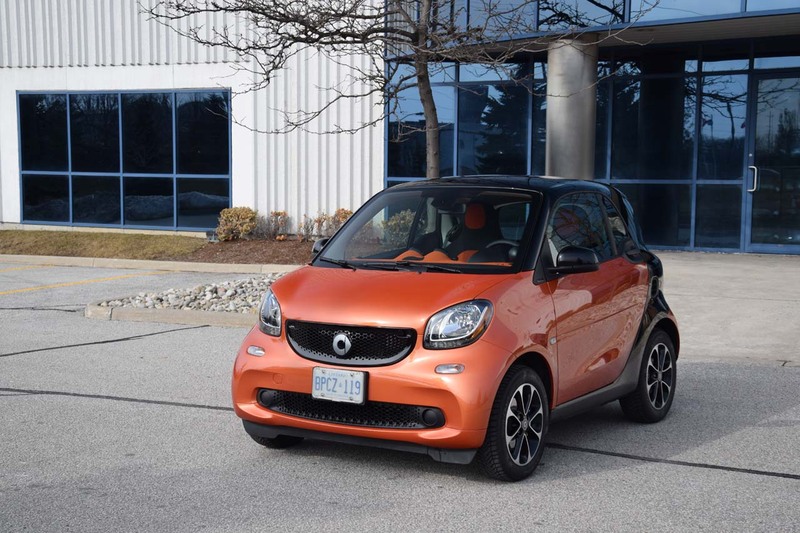 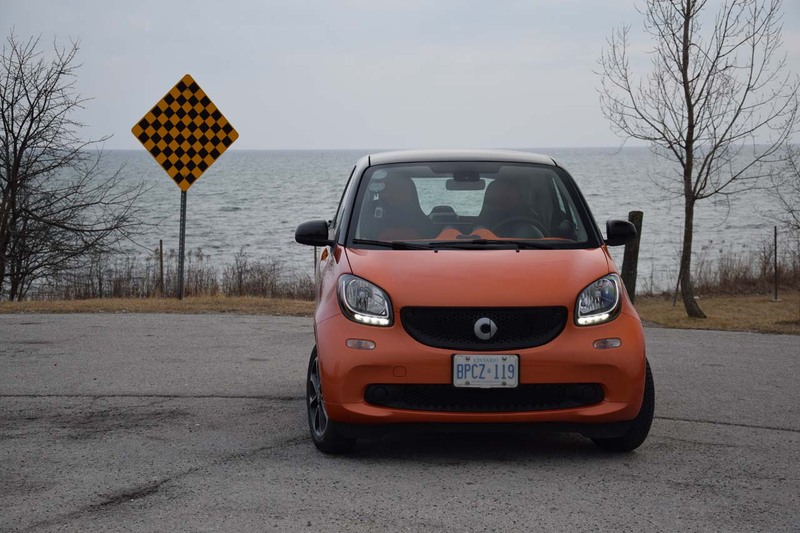 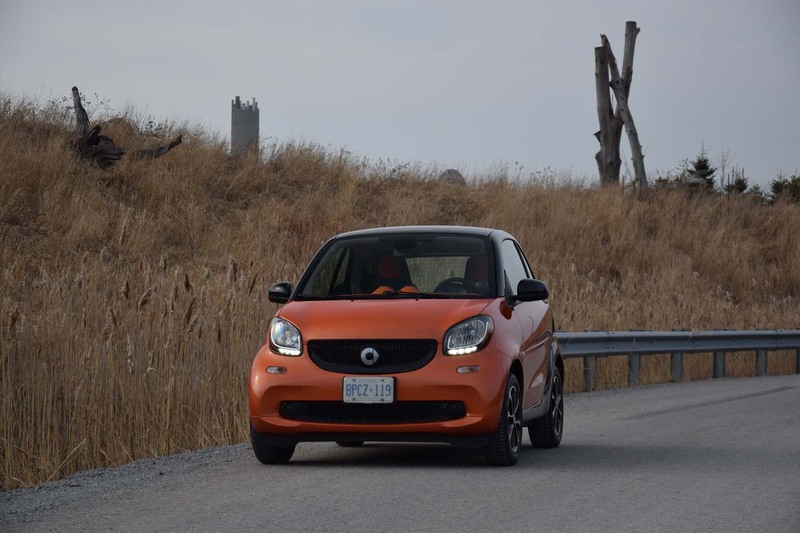 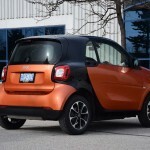 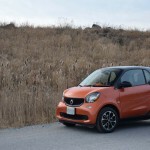 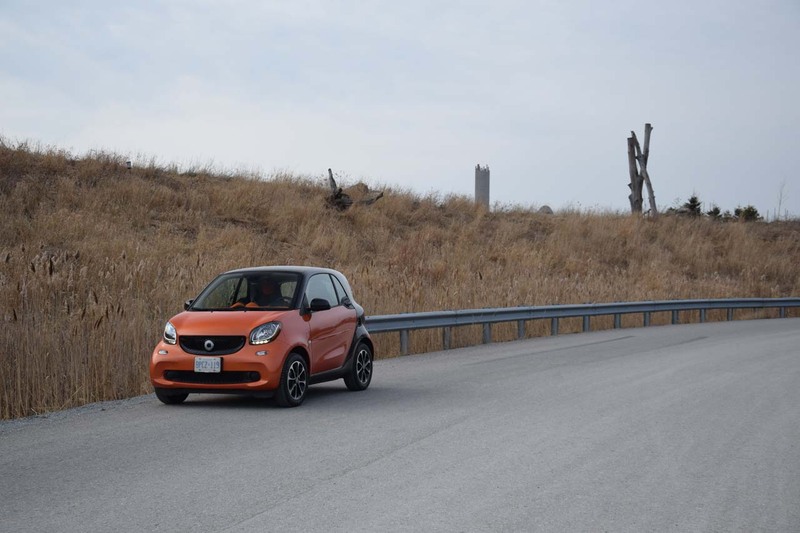 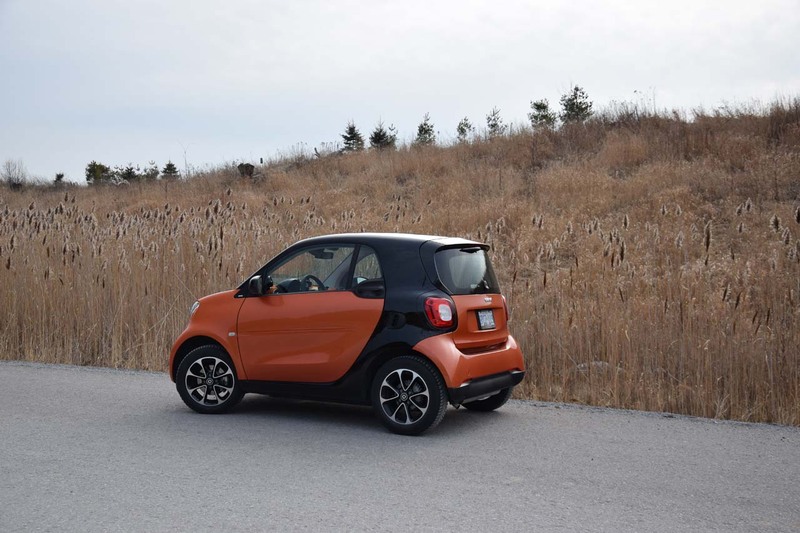 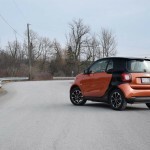 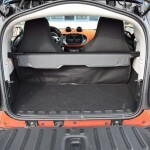 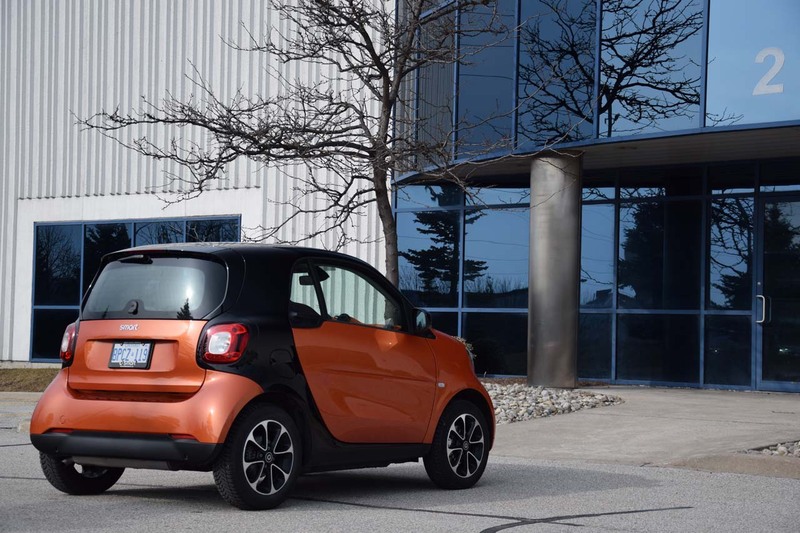 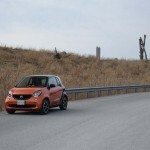 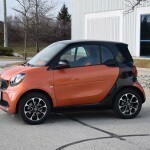 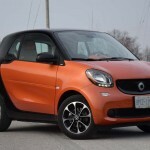 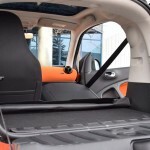 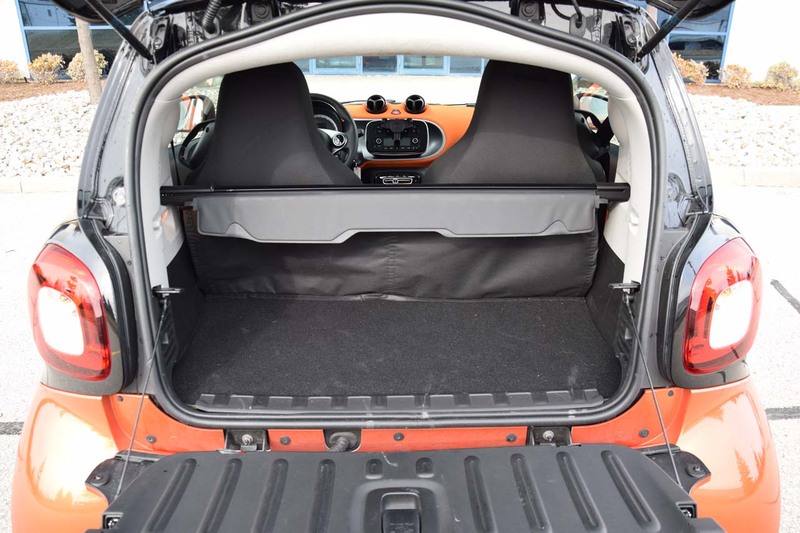 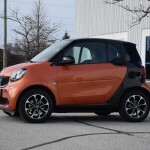 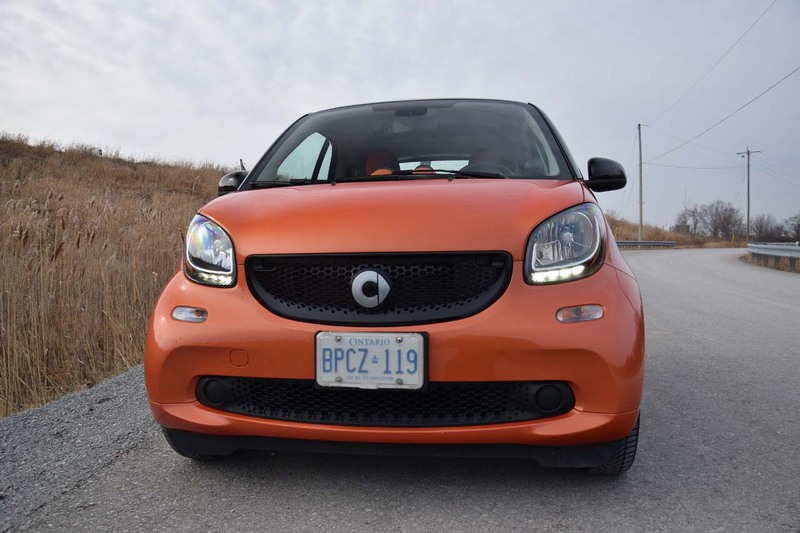 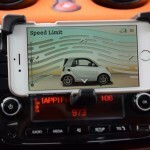 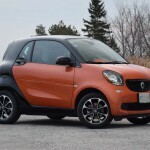 The 2016 Smart ForTwo Coupe is probably the smartest move you can make, even if you live in a city with no parking issues, since it feels like a pocketable car. 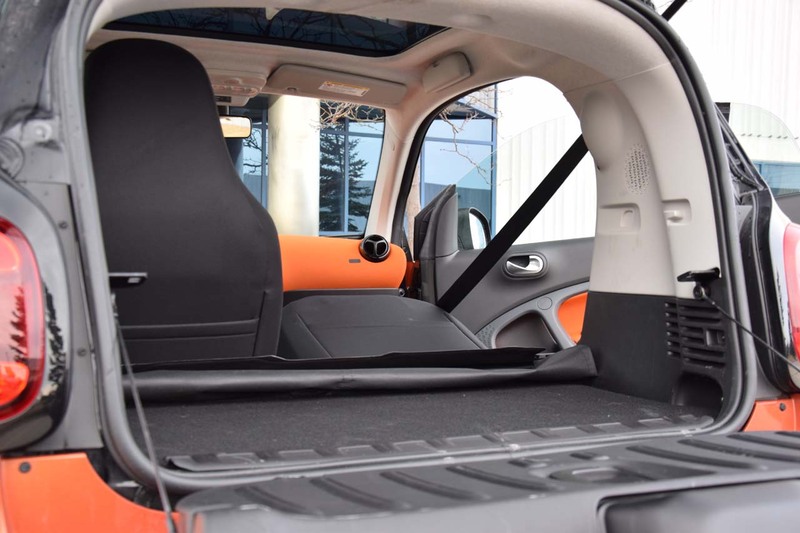 It’s 2.7 meters long and 1.66 meters wide and it weighs less than a ton. 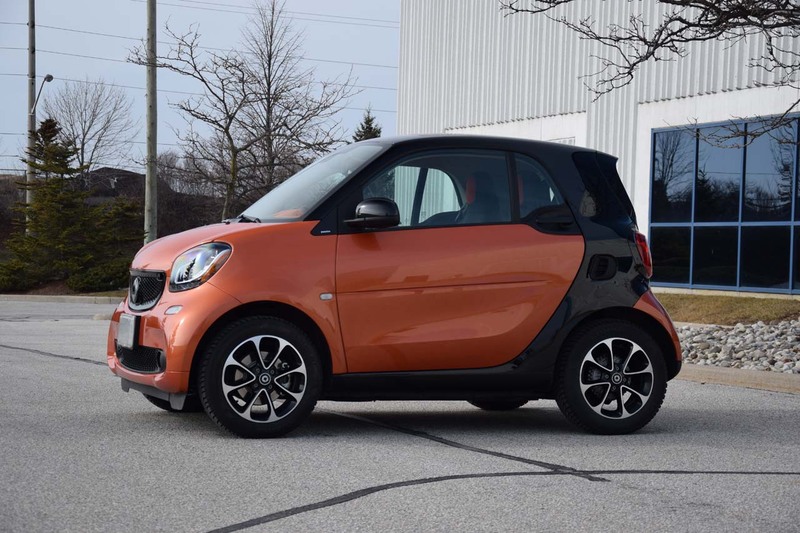 The turning radius is as big as a penny but the interior is roomy enough for to Karim Abdul Jabbars. 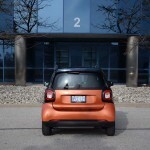 In North America, we might not have severe parking space issues but what we do have a lot of are condos. 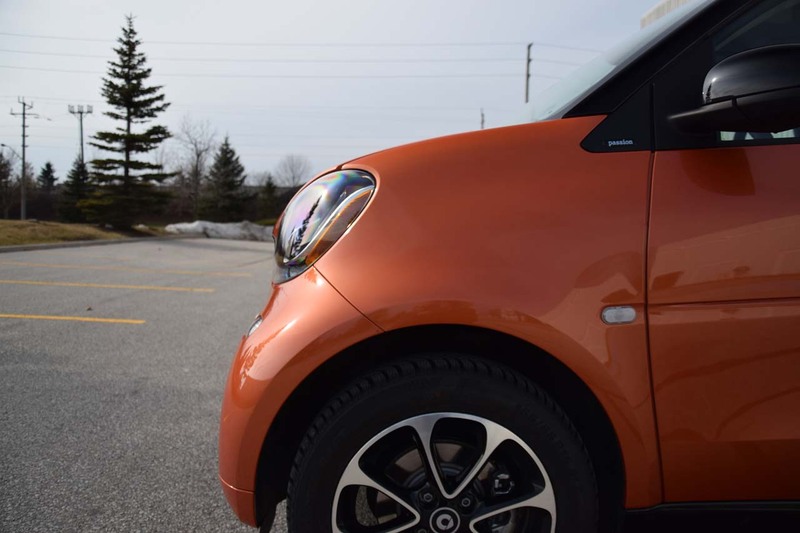 Parking spots are hard to get and expensive to rent. 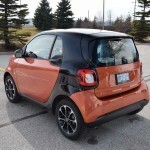 So if you live in a condo you could have two of these parked in one parking spot! 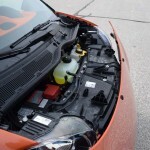 That will save you at least a couple hundred bucks per month, which could easily be your car payment. 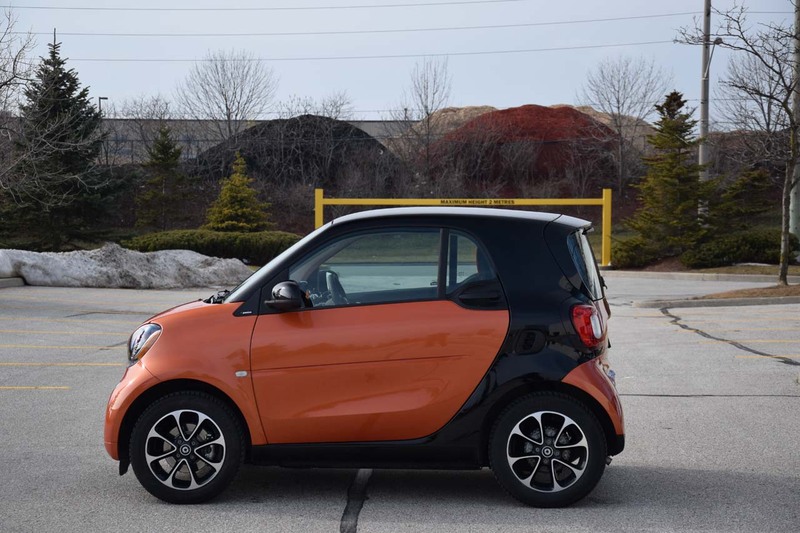 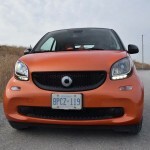 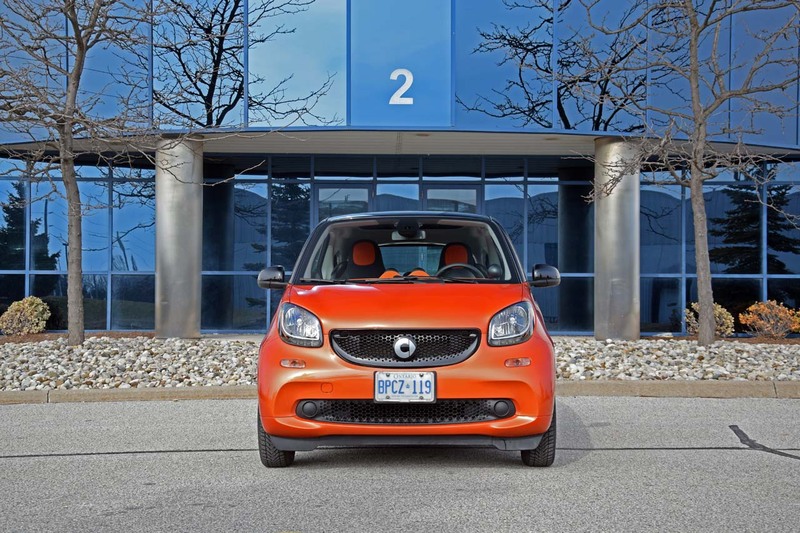 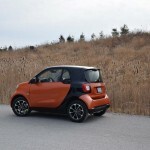 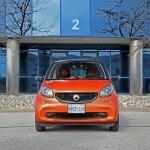 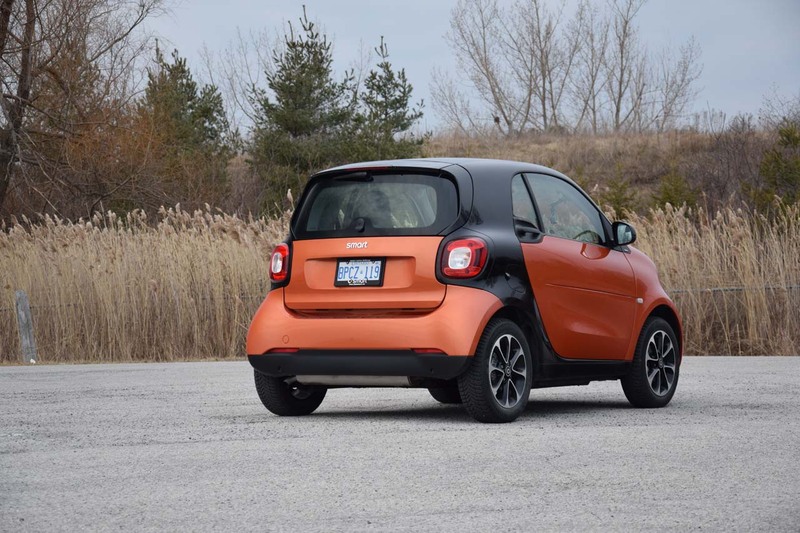 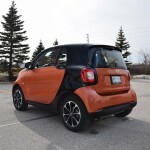 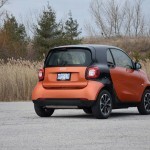 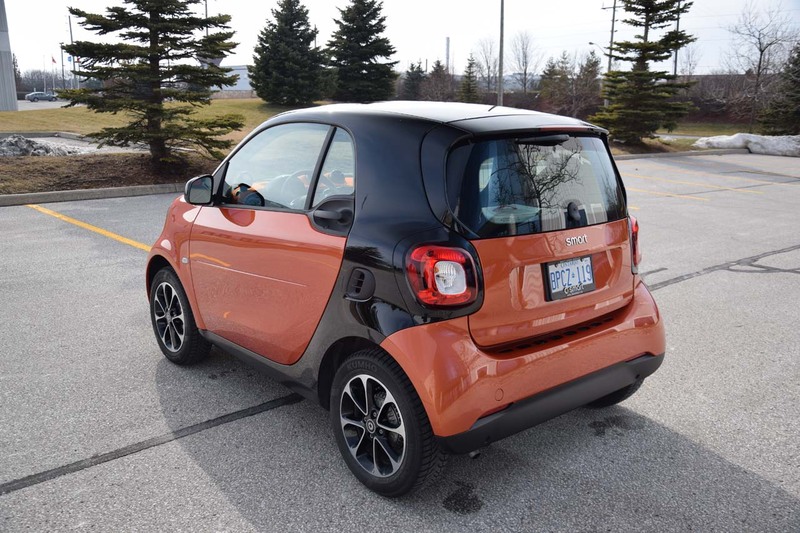 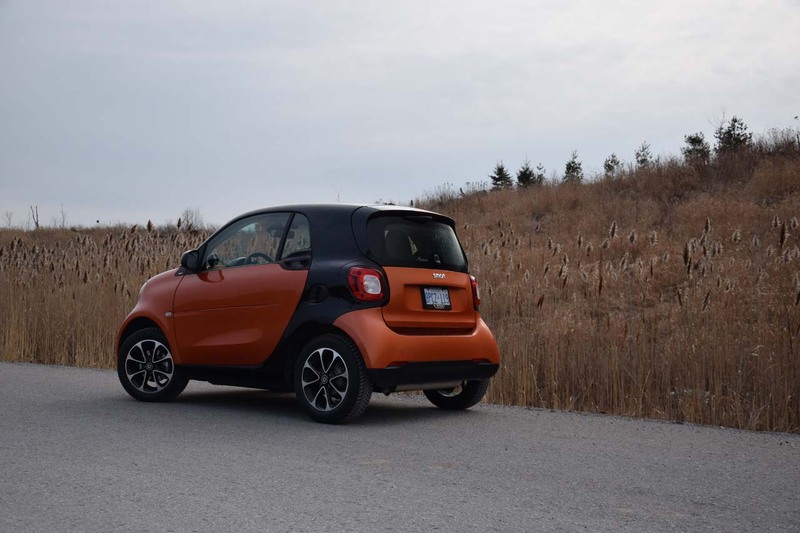 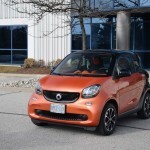 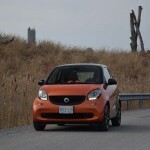 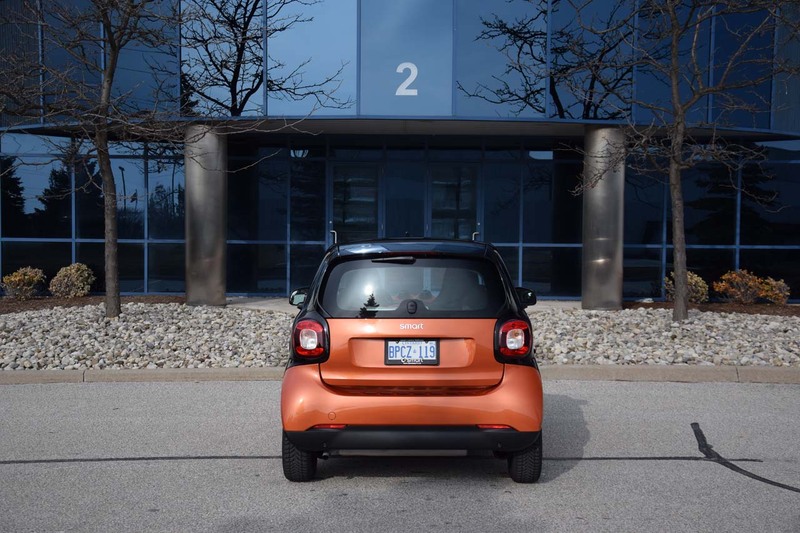 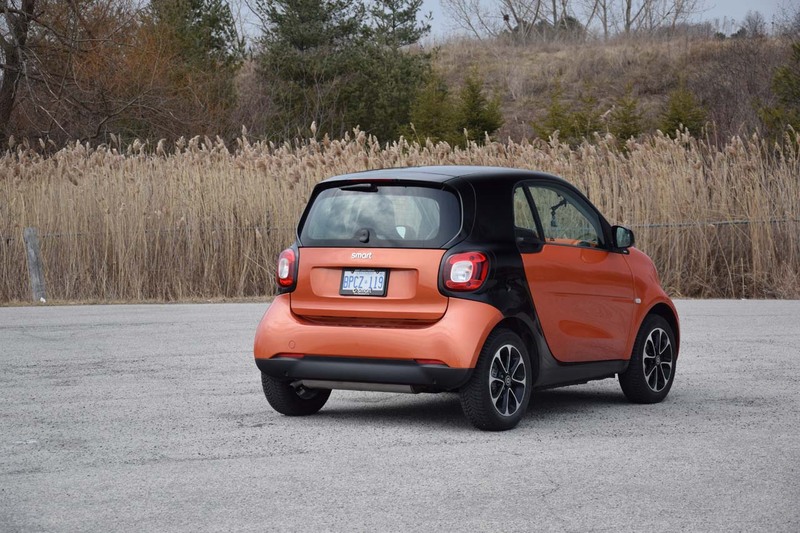 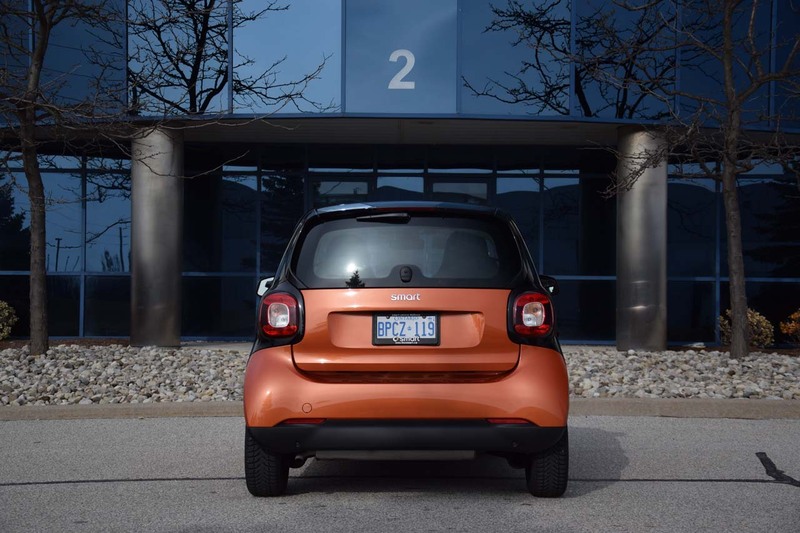 The Smart is not only good in condos and in tight cities though. 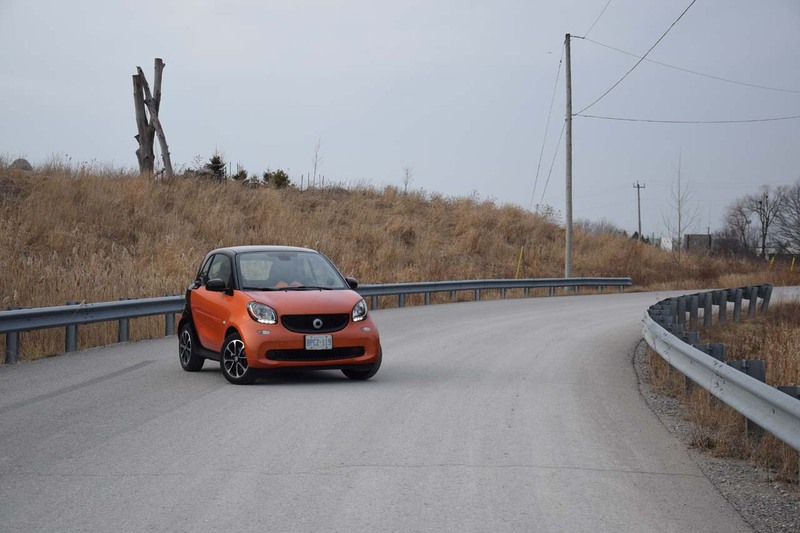 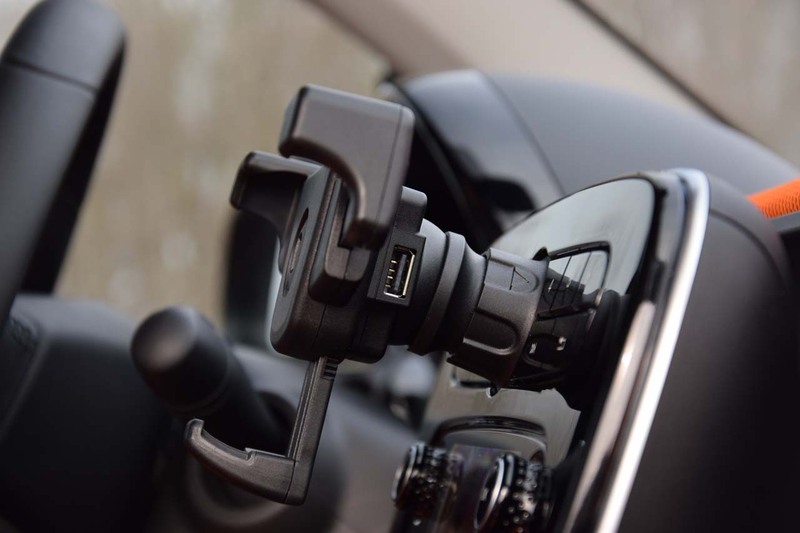 On the highway, it is surprisingly solid and it comes equipped with crosswind assist that helps keep it straight on really windy days. 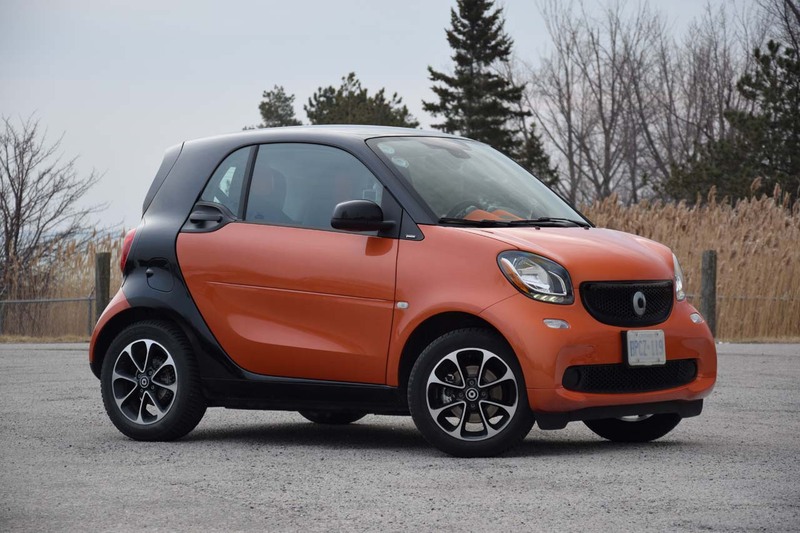 Even at high speeds, this thing feels like a much bigger car, until the moment you turn your head backwards and notice that there is no more car there. 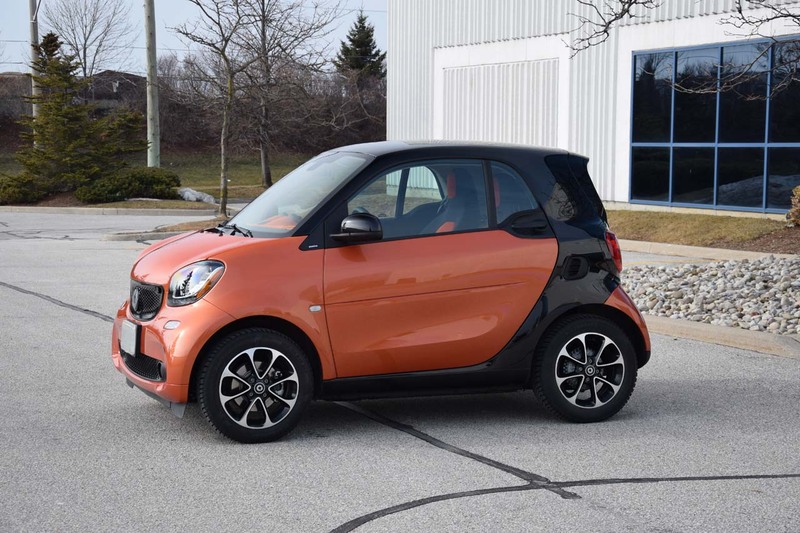 Some say that if you sneeze while driving this it will changes lanes, but the truth is it wont. 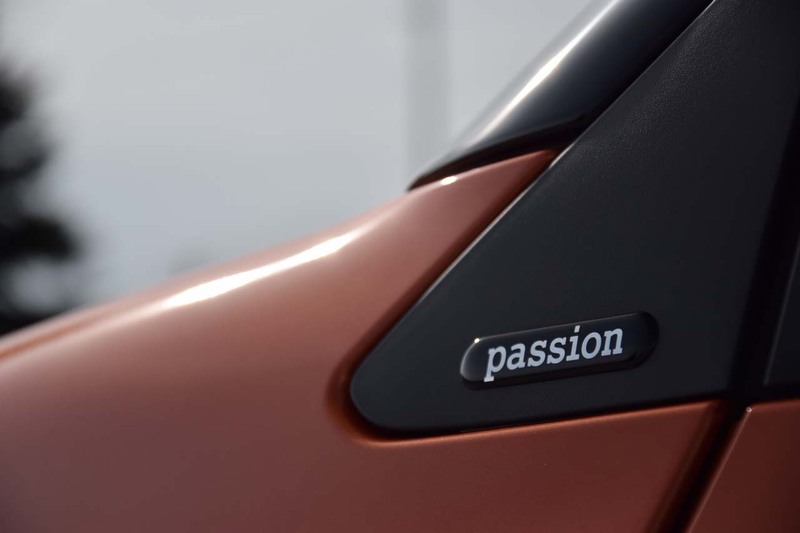 It will accelerate a bit though, since the perky engine is super spirited and responds even to the slightest throttle inputs. 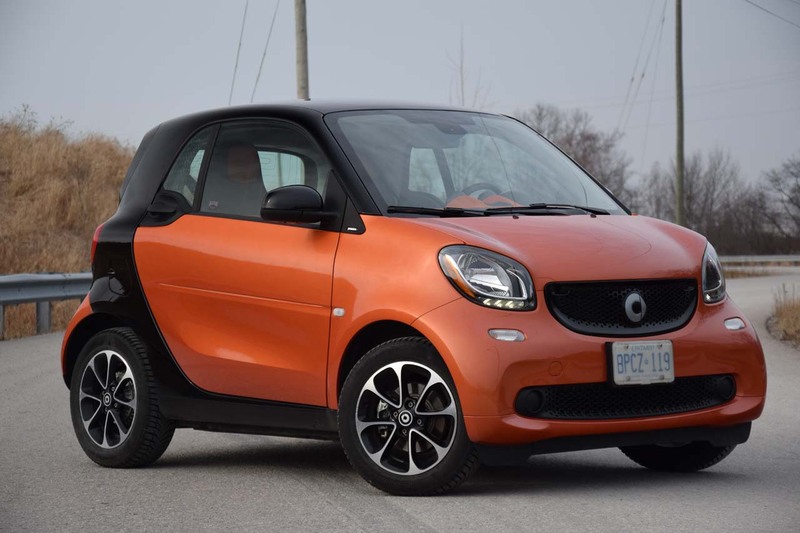 It may only be a 0.9L 89HP 3-cylinder, but thanks to the light weight it actually goes. 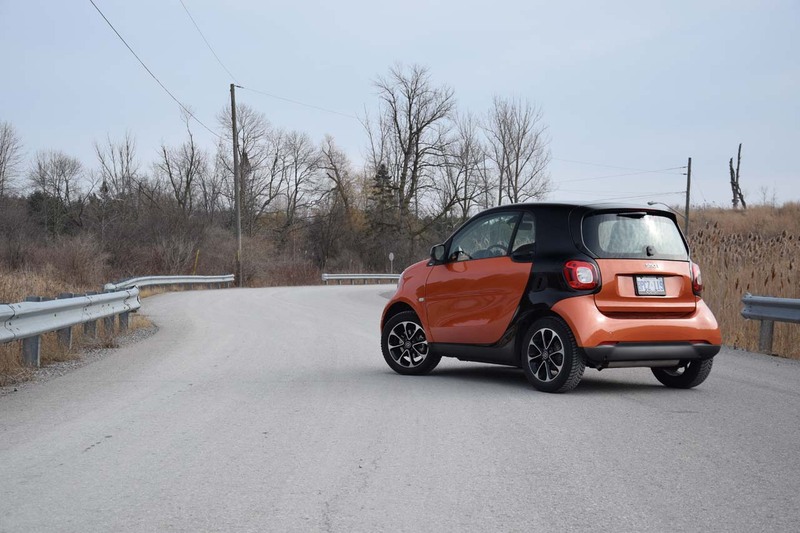 Forget about holding up traffic, it’s more like everyone else will be in your way! 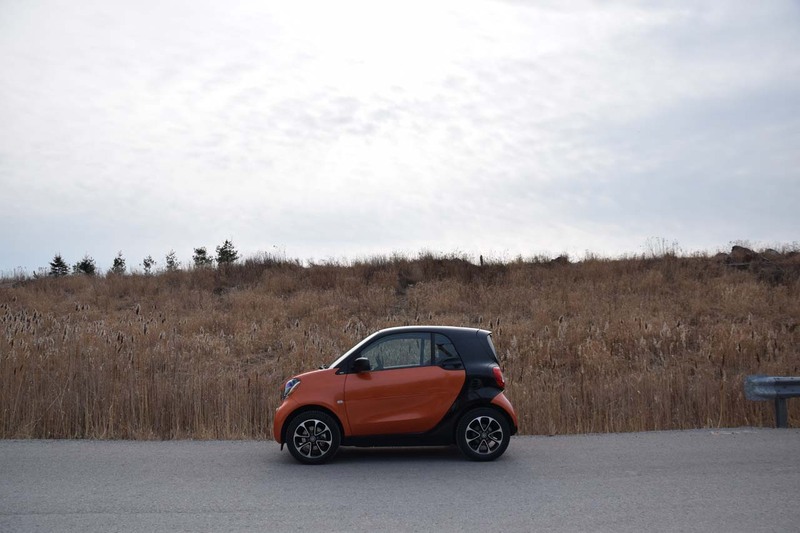 It’s just so much fun to drive around that you’ll have a really hard time driving it slowly. 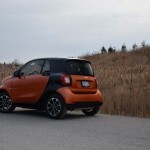 The good news is, that even when driven hard, fuel economy numbers remain really low. 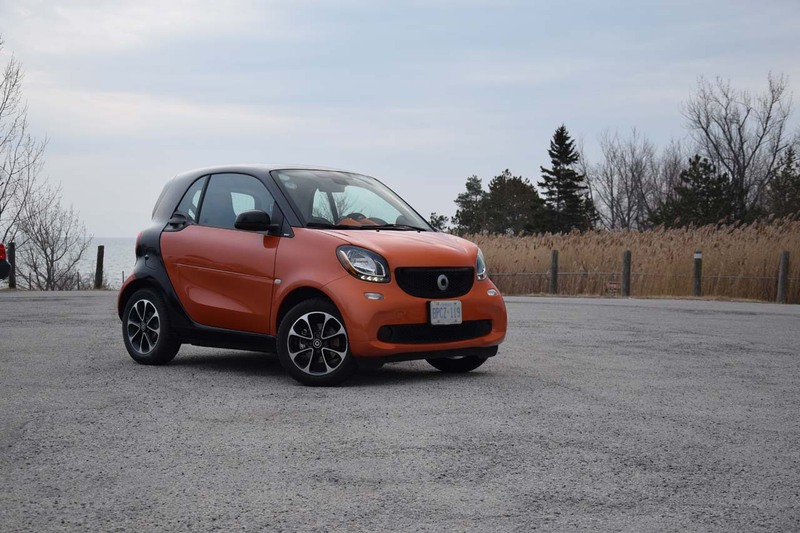 You can easily average 6.5lt/100km or less, which makes it very affordable to run. 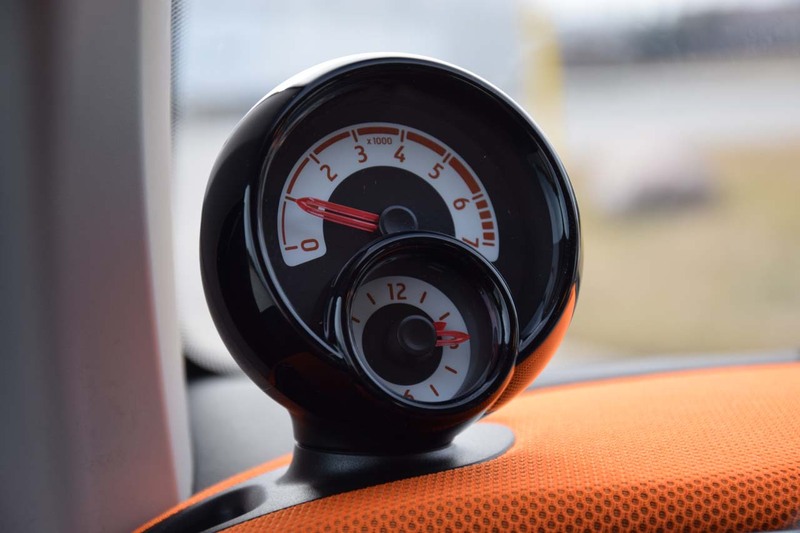 The steering is near perfect, it’s well weighted and feels very direct. 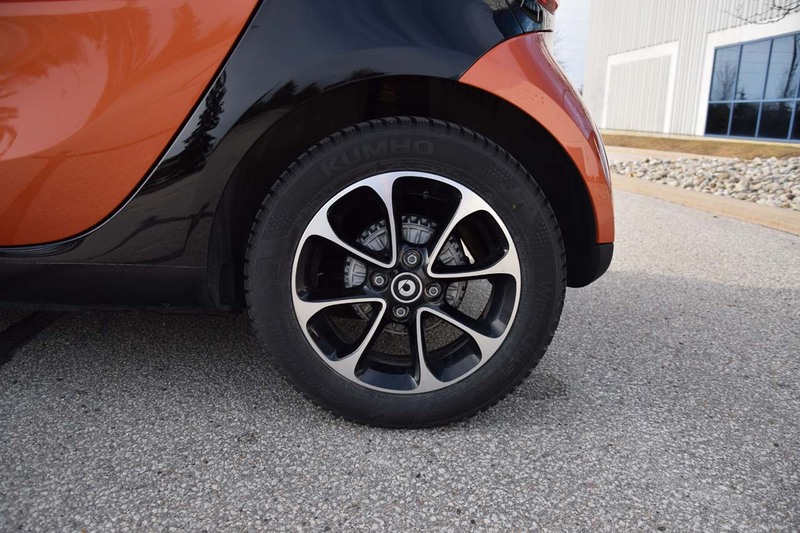 Also note, the front wheels can turn 45 degrees, which means that the turning circle is only 6.9m! 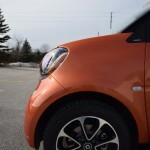 Take it to a driving test for fun and when asked to do a three point turn, smirk and go for the hole in one! 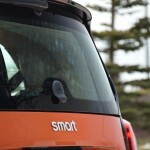 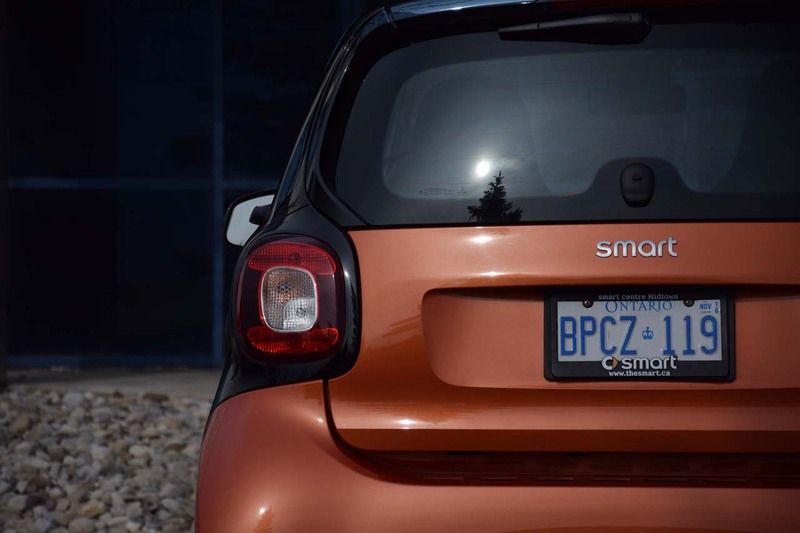 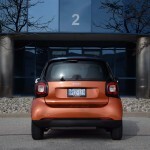 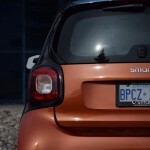 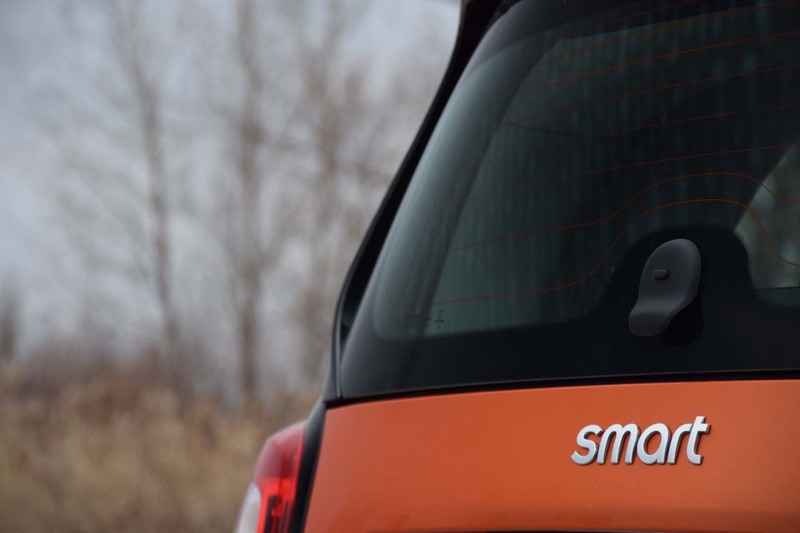 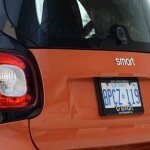 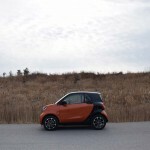 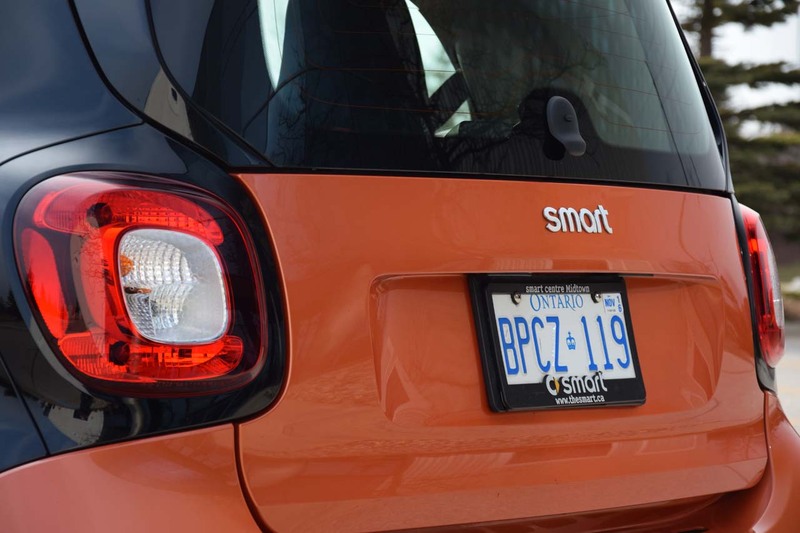 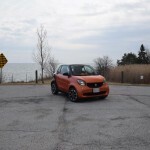 The hardest thing about parking the Smart is actually coming to terms with how small it is. 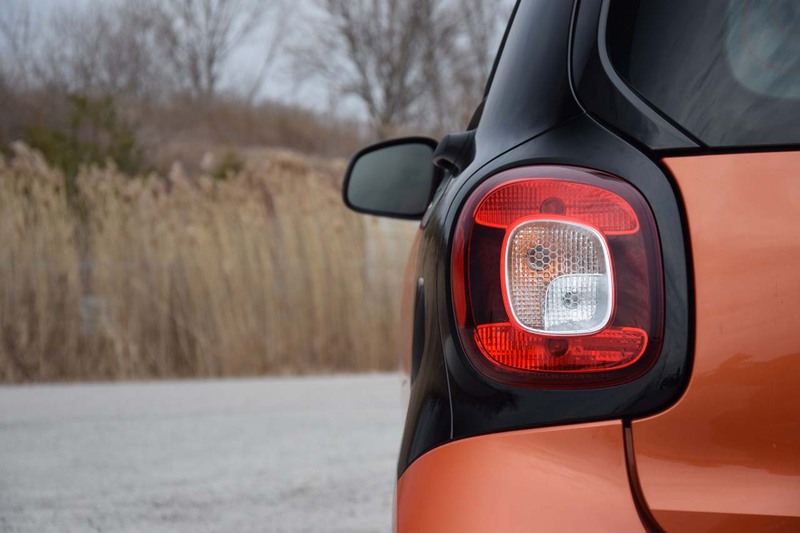 So many times I was convinced that I was about to touch, got out of the car only to realize I was still about a foot or two away. 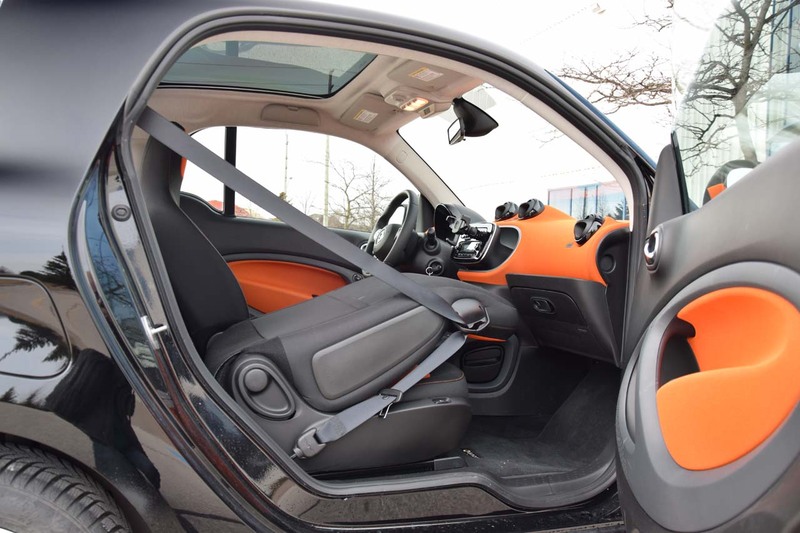 Mind blowing. 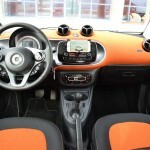 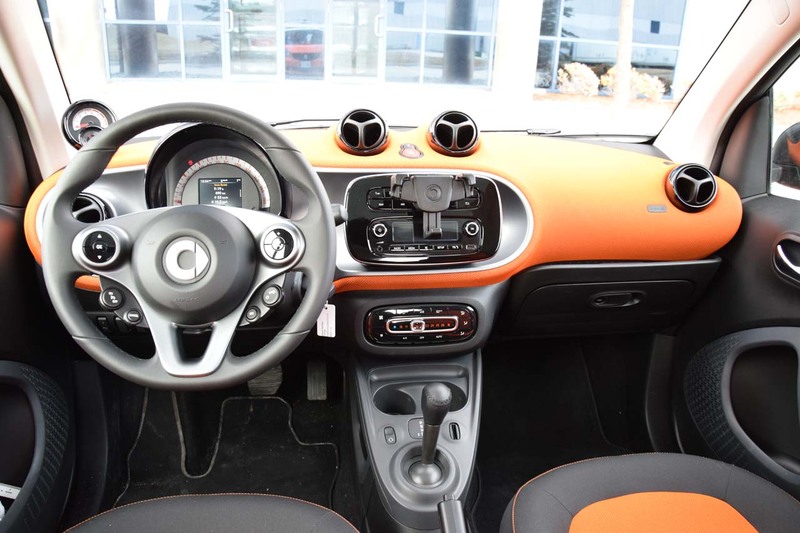 The interior is funky and quite practical, with plenty of storage spaces and three cup holders. 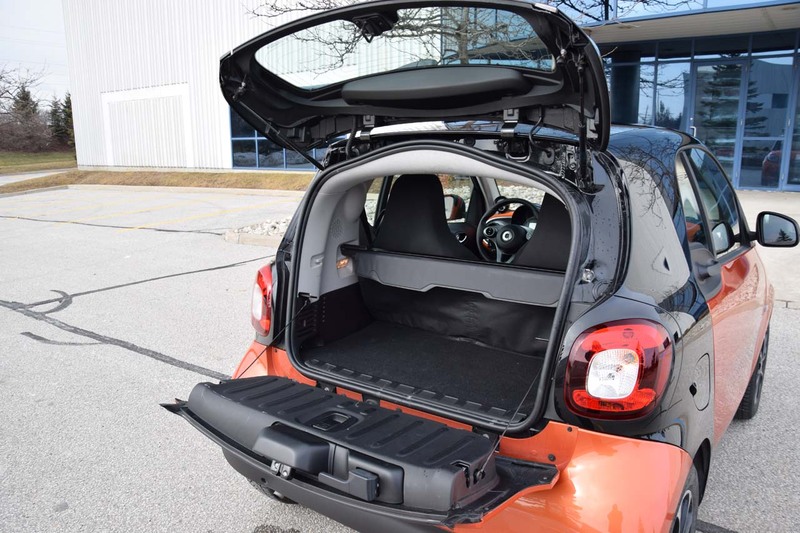 Also, the shelf in front of the passenger is very useful as are the big pockets on the doors. 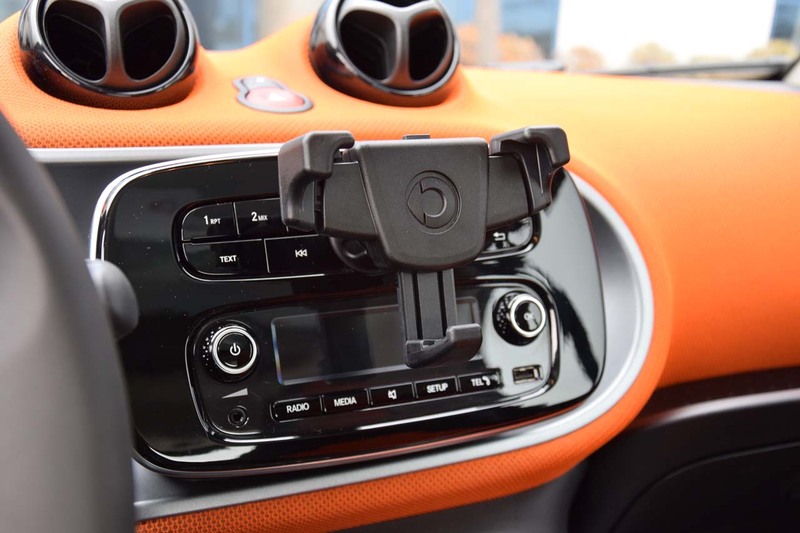 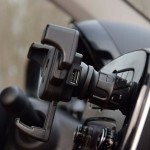 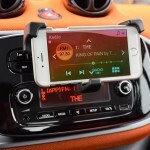 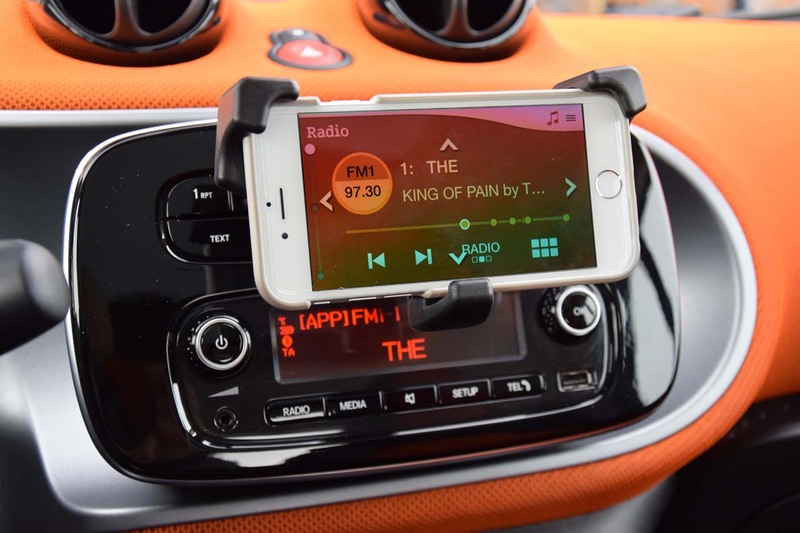 Build quality is not bad, but there are no soft materials other than the fabric cover on the dash. 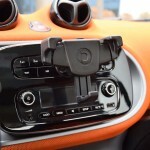 Fit and finish is good and over bumps there are no unwanted soundtracks produced. 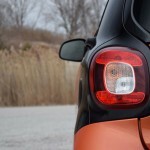 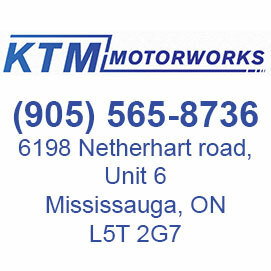 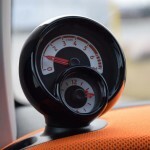 However, on extremely windy days, the side windows can produce a sharp whistling sound, especially at highway speeds. 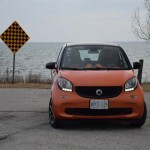 It might be pricey and basic in terms of gear, but the smart is probably the most unique car on the roads today. 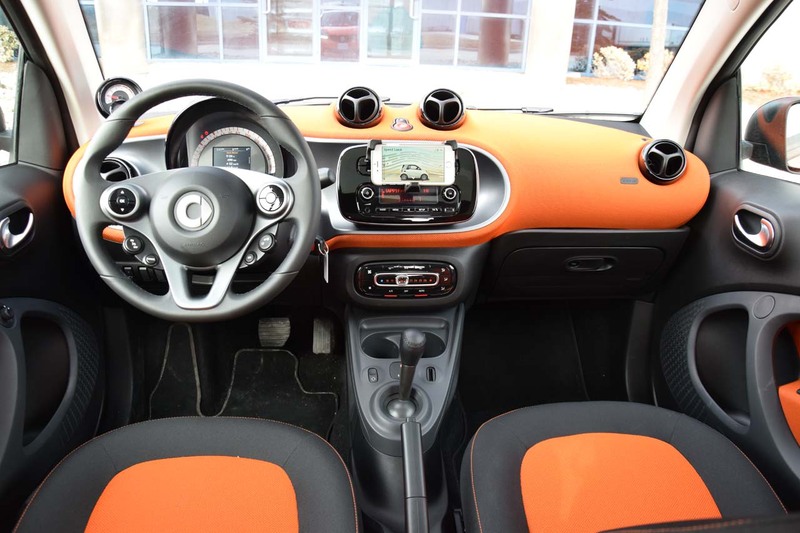 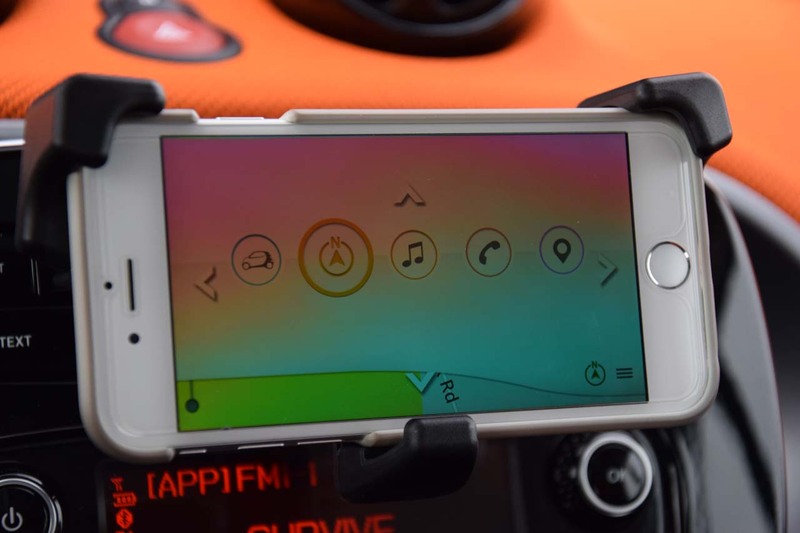 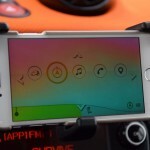 It is fun, funky, and in colours like the orange tested, it brightens up your day.